You got the entire feat wrong, since the device that was linked to Earths rotation wasn't spinning at the same speed as the Earth but many times faster to the point of it being seconds away from destroying the entire planet into pieces and the comic itself stated they held the weight of the Earth in place. I couldn't care less about bringing in calculations for the GBE, when the writers never cared or intended for it themselves. But if you wish do a calculation on how fast the Earth needs to spin to obliterate itself entirely and then tell me how much energy was it needed to stop it from doing so. First off we already knew this, Hulk absorbed and cured Red Hulk 2 of his gamma as well, now whether or not this gamma Hulk from them is inside him now or not we actually don't know. If it is inside him then that just means it's part of Hulk permanently and he one-shot Thor and hopefully he will keep absorbing more making him PERMANENTLY more and more powerful, if not than it just means Immortal Hulk is as powerful as he is right now. Either way his current power IS his normal levels now. Unless you have any evidence that he is gonna lose this amp, your argument is moot. Is his normal levels? Since when? An amp is an amp unless it last at least 5 years. Then its normal. In general with this sort of thing - I think it depends on how long its treated as an amp or referenced into his showings. It was definitely mentioned in his Avengers fight and intended to show he was stronger. I dont know that it will be referenced again as affecting him - these things tend to fade back to the mean (much like Superman absorbing more solar energy). Basically by the time a new writer comes onboard at most, previous powerups/powerdowns tend to be meaningless. As a matter of interest there is a lot of speculation in this run/issue about what Hulk/Banner might be able to do with gamma energy - Langkowski says that Banner might be able to alter his Gamma signature at will and his comments that we've never really seen what the Hulk is capable of when his back is to the wall (though not true in the larger continuity sense) plus the fact that Hulk himself was shown to be curious as to just what he was able to survive and how in this issue seems to indicate that this is something Ewing will be exploring more of. Hulk himself said absorbing gamma makes him stronger just before he absorbed Walters power. 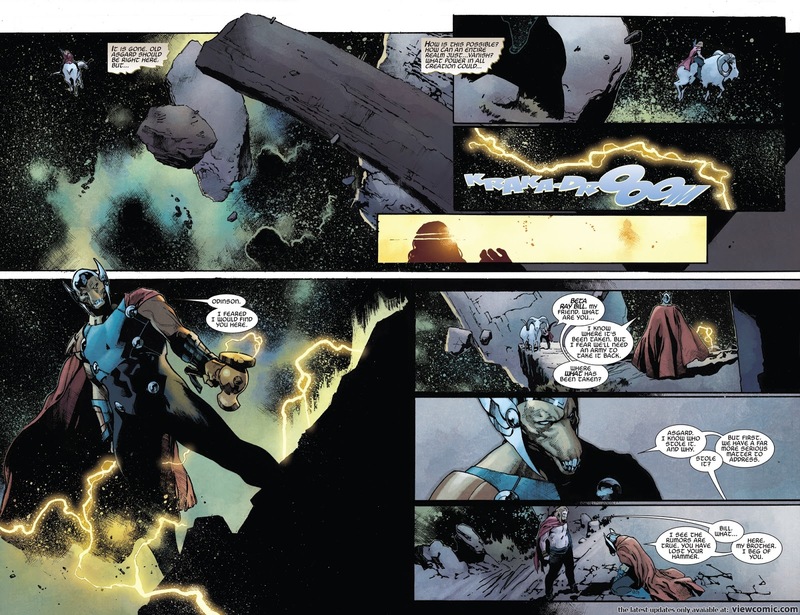 Which is again referenceed in the current issue and Thor refers in the previous issue. Hulk is amped beyond his usual level undoubtedly. and even tanked a solar system level bomb.
. This isnt something we didnt already know. Absorbing gamma ALWAYS made him stronger. What i was asking you to prove to me is. Where was it stated that he had the amp in time for the Avengers fight? Also if he does have the amp, its now a permanent part of him, since according to you its still inside him days later and several transfornations later. No such thing is referenced in the current issue. Walter said Hulk took away his ability to transform. He didint say it was part of Hulk now. In fact Walter said nobody is really sure what this Hulk is capable of when he lets lose and his mutation is unpredictable. Also Thor referenced something we already knew about Immortal Hulk since the first day he debuted. This Hulk is stronger then before, he didnt reference any amp. What was referenced if you look in issue 6 by Banner is that Hulk is stronger the closer he is to his home, which is where Banner took him right before the Avengers interrupted them. Thats what I said. But i dont think that we are supposed to assume Hulk is above normal levels if Ewing's run goes on another 50 issues and its never mentioned again for example. Maybe but anytime Hulk is stated to be stronger than usual is suspect under Ewing. Whoa, you know how to copy/paste well. heh just posting some durability feats for unworthy thor. not a jobber so much anymore after that eh? Hulk one-shotting Thor who still have those feats is still high herald level. wish Superman could tank a solar system bomb eh? That was hardly a solar system level bomb. Thor was on old Asgard which wasn't even dented. In fact it wasn't even an island level blast numbnuts. 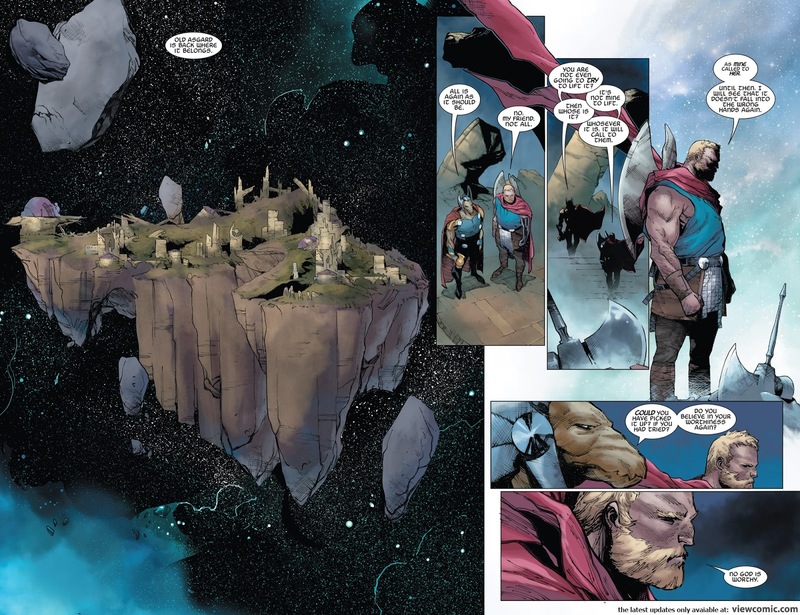 You see, old Asgard is just fine and that's pretty much an island. Let me educate you for the hundredth time. Idiot. How blind can you be? How many times do i have to keep correcting you and owning you? I assume I'm talking to a comicvine poster now? Old Asgard was taken by Collector but the rest of the place was right there. Tell us where BRB and Thor meet o wise one. That's the exact same place shown later. Not even the debris were destroyed. Forget solar system level blast punk. Nothing was destroyed. There was no solar system shown in the blast. Get this through your thick skull random comicvine poster. Now show me were are those rocks shown later on? Where are they shown to survive the explosion? All we see later is the ENTIRETY of Old Asgard not the tiny pieces of it, what is wrong with you? ?? They even say it themselves Old Asgard is back in it's place. There are no tiny pieces of floating Asgard like the ones Thor and BRB stood on before. You completely shifted your argument from entire Asgard being gone to some pieces of it and then those pieces surviving the blast when we NEVER see those pieces again. You keep digging yourself into the hole further and further. You were wrong on Hulk, you were wrong on infinity gems and now you are wrong with what happened with Old Agard. What are these floating space debris kid? show me a single one of them with a flat surface on top, grass growing on it and actual staircases.